Courtesy photoSOS Outreach, a national youth development nonprofit, uses adventure sports to engage at-risk kids. 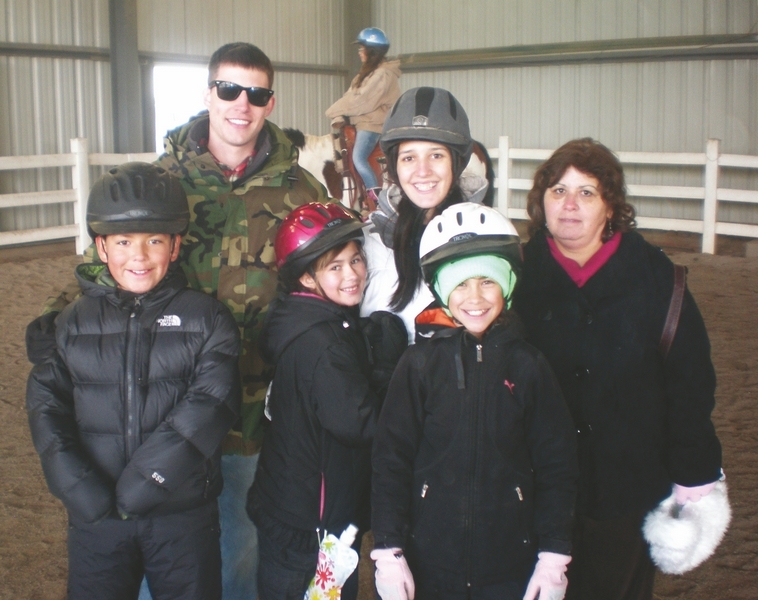 Here, youths perform community service at Piping Rock Equestrian Center. 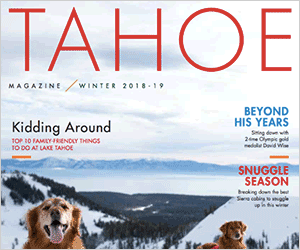 TAHOE/TRUCKEE, Calif. – As the snow is falling, SOS Outreach is gearing up for the winter season in Tahoe. As SOS begins its 19th season, and seventh in Tahoe, more youth than ever will be exposed to adventure sports while at the same time learning leadership skills and core values. SOS will serve 400 students in the Tahoe region this year. Seventy-five of those will participate in the longterm University program at Heavenly and Northstar, nearly twice the number of students lastyear. The University program isn’t just skiing and snowboarding. It teaches youth to be active members in their community through service projects, helping at community events, and through life skill workshops. Tahoe operates under the national SOS programs, which will serve more than 5,200 youth through five offices at 35 ski resorts. SOS kids learn to define and practice values such as courage, discipline, and integrity. Participants come from a variety of backgrounds, including low-income households, single-parent families, or exposure to drugs and alcohol. Along with the opportunity to experience mountain sports, SOS mentors provide positive role models and encouragement for the youth. Tahoe participants have started putting the core values into practice with service projects throughout the area. Students have given their time to clean stables at Piping Rock Ranch, staff the South Tahoe library Halloween party, and wrap Christmas presents and help with the Festival of Trees and Lights all in the spirit of giving back to their community. Through leadership workshops, community service projects, core value training, mentorship, and on-hill ride days, the SOS curriculum builds self-esteem and life skills. Every winter it is incredible to watch the community come together as kids meet their volunteers, instructors and mentors on the slopes. With passes donated by Vail Resorts and lift tickets from Sierra at Tahoe and Tahoe Donner this couldn’t happen. Youth are also wearing gear sent in by corporations who support SOS. SOS will be working with many local schools (Bijou Community, Sierra House, South Tahoe Middle, Incline Elementary, Incline Middle, Truckee Elementary School and youth from Alder Creek Middle School) as well as youth from Sacramento, Reno, Nev. and the Bay Area. “I cannot say enough about this program. As Community Liaison at Tahoe Truckee Unified School District, I am directly in contact with the kids and the families. So many families see how SOS Outreach has motivated their children. The teachers feel this program has helped the kids to be happy, and involved with their community … We love your SOS program,” said Eileen Driscoll-Norman. SOS Outreach is a national youth development nonprofit which utilizes adventure sports to engage at-risk students in longterm mentorship relationships. The SOS curriculum encourages responsibility, self-confidence, service, and leadership skills by instilling five core values: courage, discipline, integrity, wisdom, and compassion. Since 1993, they have inspired positive decision making for healthy and successful lives. To get involved or make a donation call 775-298-0260 or email Theresa at Tpapandrea@sosoutreach.org.